As a course administrator, you can define the types of groups that will exist within your course. Go to Course Setup > Groups on the left-side menu to manage your groups. By default, every new course comes with a type of group called Study Group. Students are free to create, join, and manage study groups on their own. 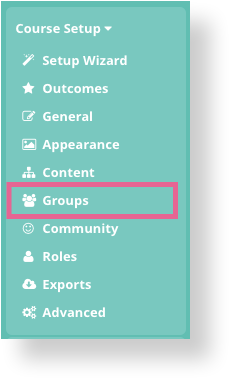 You can create additional group types to suit your course design by clicking on Create a new group type.